Property 2: Single-storey stone cottage near Llanrhystud, between Aberystwyth & Aberaeron. Property 3: Cottage in Pembrokeshire National Park . 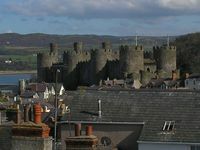 Close to beaches, coast paths, castles. Property 4: Idyllic Detached Stone Cottage With Log Burner And Beams Set In Private Gardens. Property 10: Coedmor Barn, With Stunning Views. Property 13: Characterful cottage in beautiful, quiet, rural location close to the coast. Property 25: Nestling in a quiet corner of Anglesey - beautiful traditional Welsh cottage. Property 26: Beautiful cottage in the heart of mid-Wales, Peaceful, Private, Expansive views. Property 27: Bryn Awel. Penmachno. Traditional cottage 4 miles from Betws y Coed. Property 34: Beautiful Welsh stone cottage. Great walks. Great pub/food. Superfast broadband! A stone built two bedroom cottage in the Snowdonia area overlooking a river. Property 37: A stone built two bedroom cottage in the Snowdonia area overlooking a river. 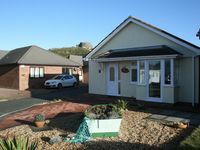 Property 40: Trearddur Bay, Anglesey, Sea view, Sleeps 6. Property 50: Little Avalon, Laugharne. Centrally located in historic, coastal town.